go, I wanted to see about learning to fly. I called, made an appointment for a “discovery flight”, and then signed up to learn to fly. 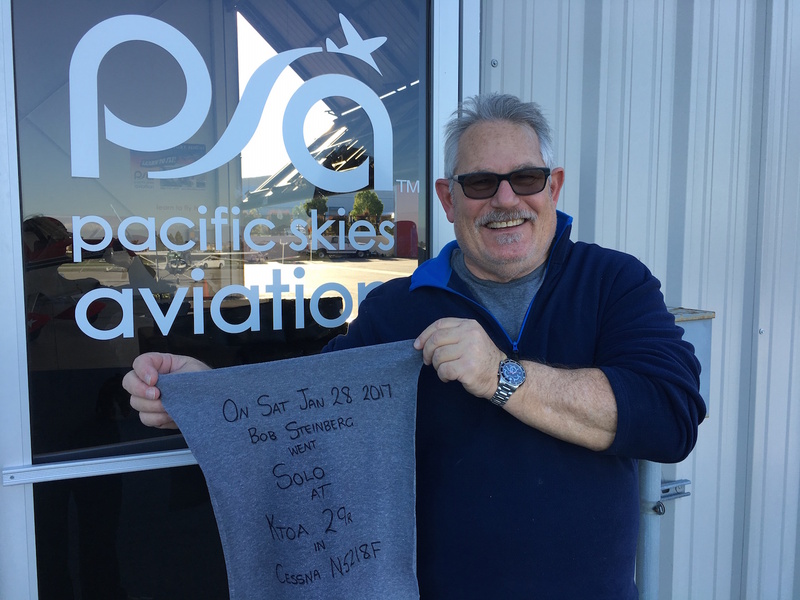 Last Saturday (1/28/17) I flew my first solo. It was the most exciting experience I’ve had in a long time. 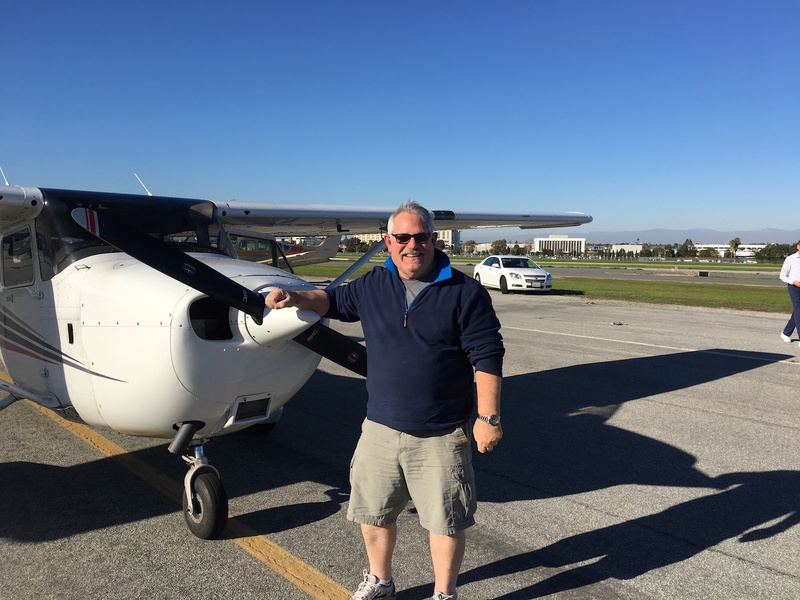 Flying solo is something that every pilot had to do a some time. Every pilot can appreciate what a milestone it is. Saturday’s flight started off pretty much like most of my lessons. I had completed the pre-flight inspection, my instructor, Miriam, got in and said , “OK, show me what you got”. She had me takeoff and land a few times and then asked me if I was ready.After a few last minute words and final instructions, I was off, on my own. I was calm, focused, and excited all at once. I made 3 trips around the pattern, taking off and landing to a full stop each time. After the 3rd time, I taxied back where Miriam was waiting for me. It was the end of a perfect day to fly. I flew solo for the first time!!! Whoo Hoo! !